Our CTX Construction Lag Screws are superior to the common lag screw. They have a wide washer head eliminating the need for an additional washer. 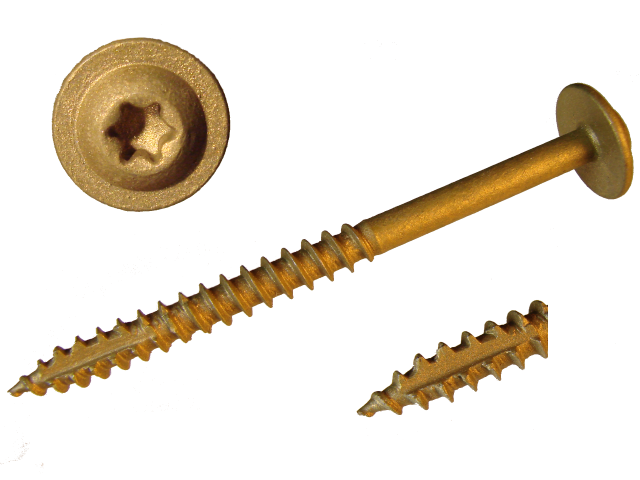 These screws have 1,200 hour corrosion resistance in both ACQ and salt spray conditions. The knurled shank makes driving easier on both the tool and the user. The spiral notches in the threads reduce the required torque without affecting holding power. These screws feature a type 17 tip that starts cleanly and easily without "walking".